Don Northcott hosting Haskap Berry Open House, Saturday, July 15th, 11:00 a.m. to 1:30 p.m.
Have you had a chance to see and taste Haskap berries? This Saturday, you try them on ice cream at Don Northcott’s farm, 43 MacNevin Drive in Clyde River. You will also learn about this burgeoning berry industry where Don’s company Phytocultures is taking a lead to support its commercial success for growers. Phytocultures has spent the past 10 years focusing on production and berry variety development and also mechanized harvesting methods to make it a viable commercial venture. 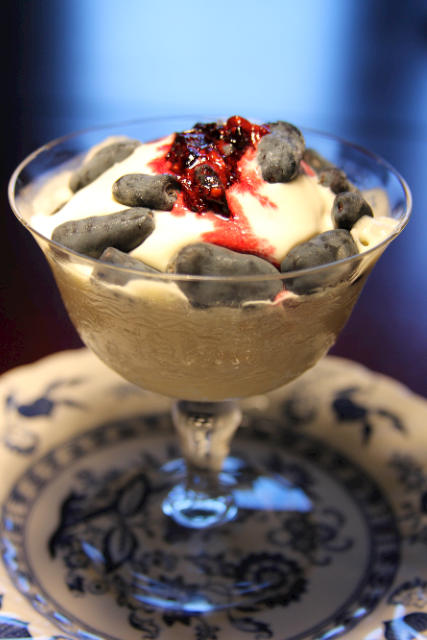 1:00 p.m. – Haskap Berries over Ice Cream! The unique advantage of Haskaps is they are a berry that can be grown in cooler regions. For many years, they have grown successfully in Japan and Russia. The Haskap bush flowers can survive -3 to -5 degrees Celsius. 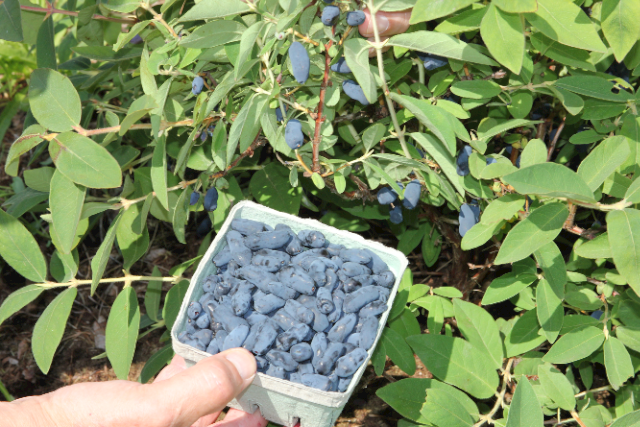 Haskap berries ripen in June, so they offer the first delicious taste of the summer. They exceed blueberries in antioxidants and are very high in Vitamin C along with potassium, Vitamin A and dietary fibre. Take some time on Saturday to learn about farming innovation happening right here in Clyde River.